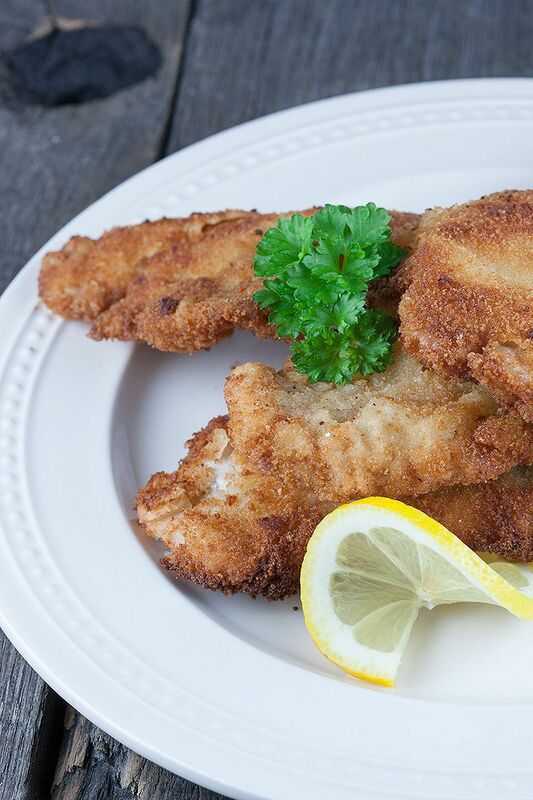 So easy and delicious; traditional German schnitzel. Ready in 20 minutes, recipe for 3 people. 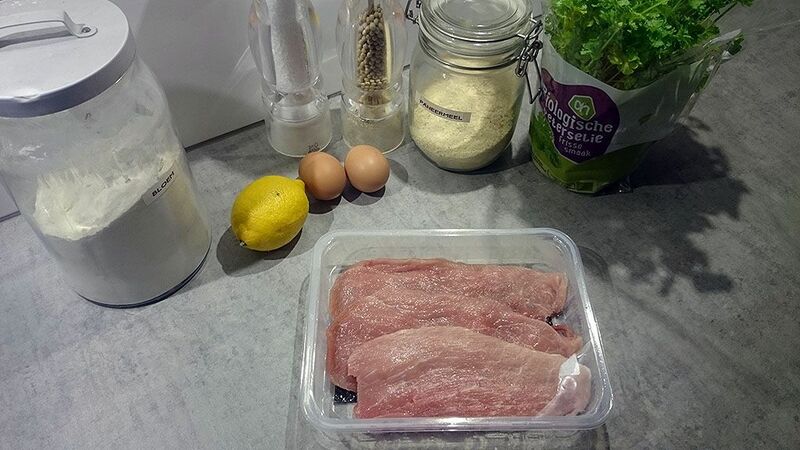 Traditionally German schnitzels are made from thin cuts of pork chops, when using a thicker cut of meat make sure to flatten to 1/4 inch thick using the flat side of a meat tenderizer. LIGHTLY season both sides of each pork chop with freshly ground salt and pepper. ARRANGE the 3 deep plates and add in flour in one, whisk 2 eggs in another and add in breadcrumbs in the last one. DIP the pork chops in the flour first, coat the whole piece of meat, then coat in the whisked egg and finish by coating a third time with the breadcrumbs. Be careful not to press the breadcrumbs too hard into the meat. 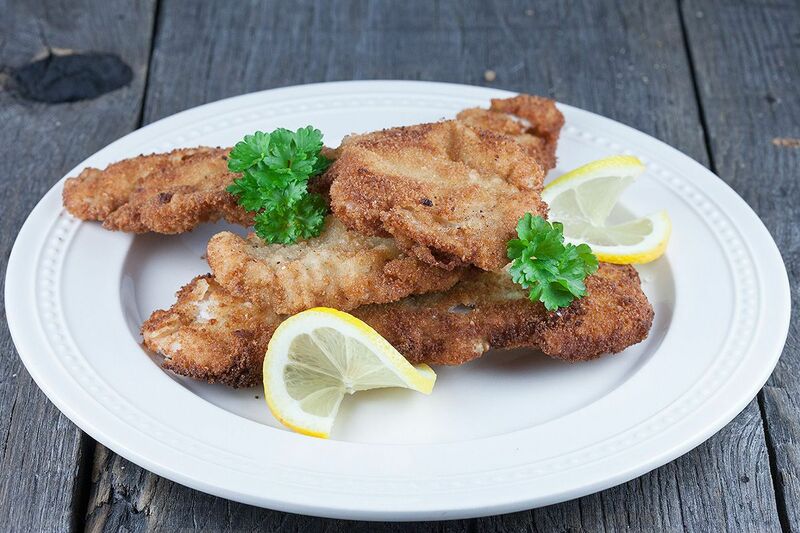 POUR in sunflower oil in the large frying pan just enough to let the schnitzels ‘swim’ but not drown. SEE if the temperature is optimal by testing it with a small piece of paper kitchen towel. If air bubbles form, add in one schnitzel at a time. BAKE for 2-3 minutes each side, or until golden brown. PREPARE the large plate with a few paper kitchen towels. 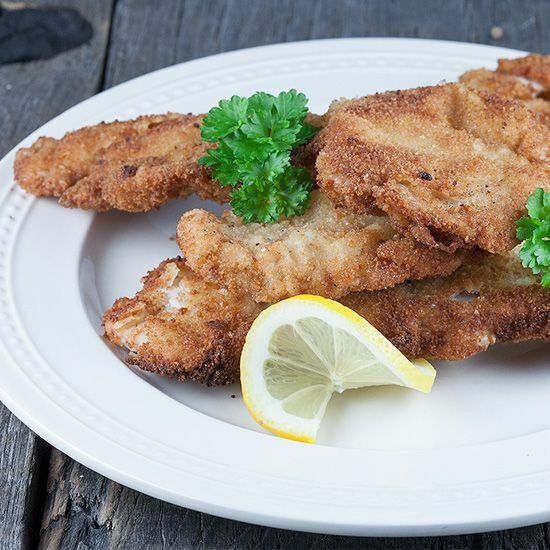 REMOVE the schnitzels from the pan and put it on the large plate to cool off a bit. Serve with a thin fresh slice of lemon. GARNISH with parsley sprigs, or with a sauce of choice. Enjoy!